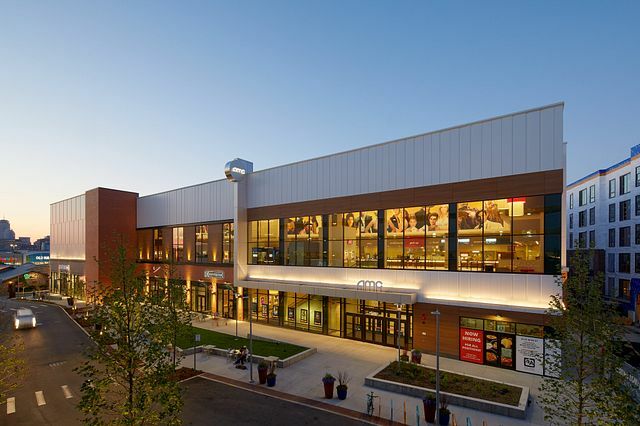 Established as the first mixed-use community gathering place in Dorchester, South Bay was thoughtfully designed with the neighborhood top of mind. The pedestrian-friendly center will be filled with a diverse mix of retailers and restaurants, an AMC theater, luxury residences and free parking to serve the needs of the community. As a place for neighbors to spend time with friends and family, South Bay is equally dedicated to sustainability. The eco-friendly solar panels incorporated into the design have generated millions of kilowatts of energy saving the environment from harmful greenhouse gases. Creating a canvas that is rooted and reflective of the local community, EDENS engaged resident blacksmiths, mural artists, carpenters and metalworkers to create unique custom works throughout South Bay. Jointly working in the design and curation, EDENS and the artisans have created a place where Dorchester is proud to call their own. As part of the “Made in Dorchester” initiative, EDENS engaged resident blacksmiths, mural artists, carpenters and metalworkers to create custom works throughout South Bay.